EPA Coal Rule: Why the fuel won’t be replaced anytime soon. Environmentalists fervently wish for the end of coal. Here’s why it can’t be replaced anytime soon. That shouldn’t be a difficult task. In late March, the EPA proposed a rule that could prevent the construction of new coal-fired power plants in the United States. (Public comment on that rule ends on June 12.) That move was cheered by the Sierra Club and other environmental groups that are pushing their “beyond coal” campaign. But here’s the reality: Whatever happens in the presidential election won’t matter much to the booming global coal market. Furthermore, it will have almost no effect on soaring global carbon dioxide emissions, which have increased by about 28 percent over the past decade. At the very same time that U.S. electricity producers are slashing their use of coal for economic and environmental reasons, countries around the world are dramatically increasing their use of the fuel. A look at coal and electricity demand in locations from Hanoi, Vietnam to Dusseldorf, Germany shows that the rest of the world is not going beyond coal. In fact, just the opposite is happening. Between 2001 and 2010, U.S. coal consumption fell by 5 percent and domestic carbon dioxide emissions dropped by 1.7 percent. But over that same time period, global coal consumption soared by 47 percent, or the equivalent of 23 million barrels of oil per day. Put another way, over the past decade or so, global coal consumption increased by about the same amount as the growth in oil, natural gas, and nuclear combined. Coal use is soaring because demand for electricity is soaring. Between 1990 and 2010, global electricity production increased by about 450 terawatt-hours per year. That’s the equivalent of adding one Brazil (which used 485 terawatt-hours of electricity in 2010) to the electricity sector every year. And the International Energy Agency expects global electricity use to continue growing by about one Brazil per year through 2035. Perhaps the best example of growing electricity demand can be seen in Vietnam. Between 2001 and 2010, electricity use and coal use in the country increased by 227 percent and 175 percent, respectively. And more coal is on the way. Last September, Virginia-based AES Corp. finalized a deal to build a $1.5 billion, 1,200-megawatt coal-fired power plant in Vietnam’s Quang Ninh province. Or consider China, which uses more than three times as much coal as the United States. About 70,000 megawatts of new coal-fired electric generation capacity will likely come online in China over the next two years. And the world’s most populous country has plans to build another 270,000 megawatts of coal-fired capacity. Over the next two decades, India will likely add another 72,000 megawatts of coal-fired capacity. For comparison, the total of all U.S. coal-fired electric capacity is about 317,000 megawatts, and that capacity is declining as generators switch to natural gas, which, in some regions of the country, is now cheaper than coal. But we needn’t look only at developing countries. Germany may lead the world in solar-photovoltaic capacity with some 25,000 megawatts of installed panels, but RWE, the German utility, will soon begin operating the world’s largest lignite-burning power plant, a new 2,100-megawatt facility located south of Dusseldorf. Over the next two years or so, Germany will add 8,400 megawatts of new coal-fired generation capacity. And another 5,500 megawatts of coal-fired capacity is awaiting approval. In fact, thanks to the slumping European economy, electricity producers in the region are already ramping up their use of coal. On May 8, Reuters reported that German utilities are likely to produce about 12 percent more electricity from coal this year than they did in 2011 thanks to abundance of cheap permits issued under the EU’s Emissions Trading Scheme. The punch line is obvious: The EPA might outlaw future coal-fired power plants in the United States, but the rest of the world hasn’t quit burning coal, and it won’t. There’s no question that the coal sector imposes serious negative impacts on society. The extraction and burning of coal—strip mines, mountaintop removal, air pollution, mercury emissions, and ash ponds at power plants—take an enormous toll. 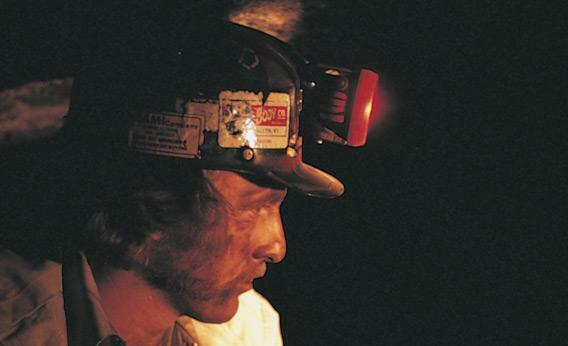 Thousands of miners die each year in the world’s coal mines. Just last month, nine Chinese miners were killed and 16 were injured in an explosion at a colliery in northern China. Despite these very real costs, coal continues to present a compelling value for electricity production because deposits of the fuel are abundant, widely dispersed, easily mined, and not controlled by any OPEC-like cartel. Environmental groups claim we should simply replace coal with renewable energy. That’s easy to say, but the scale of our coal use is staggering. Global coal consumption is now about 71 million barrels of oil equivalent per day, which is approximately equal to the daily oil output of more than eight Saudi Arabias. If the world wanted to replace all coal-fired electricity (about 40 percent of global production) with juice provided by solar photovoltaic panels, it would require, in rough terms, 470 times Germany’s current installed solar capacity, or about 70 times current installed U.S. wind capacity. If world leaders are serious about making drastic reductions in carbon dioxide emissions, then some sort of a global carbon tax, a direct tax on coal, or even an outright ban on the fuel, will have to be part of the discussion. But given the repeated failures—at Copenhagen, Cancun, and most recently, at Durban—to impose a global tax or limit on carbon dioxide, there’s no reason to believe that will occur. United States-based environmental groups may convince the EPA that banning new coal-fired power plants is good policy. They won’t have much luck with that agenda in Hanoi, Berlin, or Beijing. So where does that leave us? If cutting carbon dioxide is the goal, then countries around the world will have to embrace natural gas and nuclear on a large scale. But even if that were to happen, the history of coal—in use for industrial purposes for more than 300 years—is one of remarkable persistence. Obama and Romney may argue from now until November 6 about the problems and merits of coal. But the truth is readily apparent: Coal will outlast them both.